As you all know I love receiving beauty subscription boxes every month so I'm always on the look out to try new boxes. I'm currently subbed to Birchbox and GlossyBox which with both boxes you don't get to choose your own items. Products are chosen for you using your beauty profile which you fill out once you have signed up. 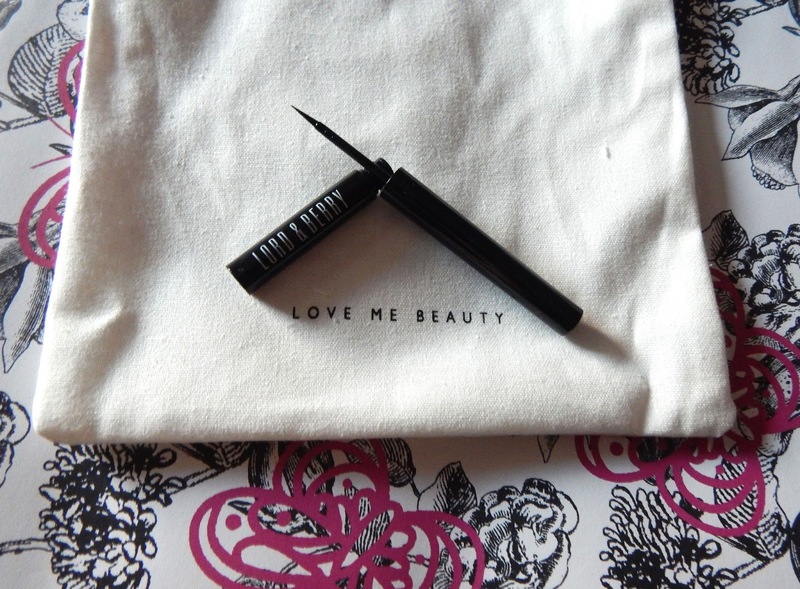 The Love Me Beauty box is different because you get to choose your own items every month. Each month once your payment has gone through you have 60 credits to use in the boutique, the boutique has different items from makeup, skin care, hair products and even jewellery. Items in the boutique are priced at 10 or 20 credits, most of the makeup products seem to be 20 credits whereas some of the skin care and jewellery are just 10 credits, therefore every month you could get between 3 and 6 items. 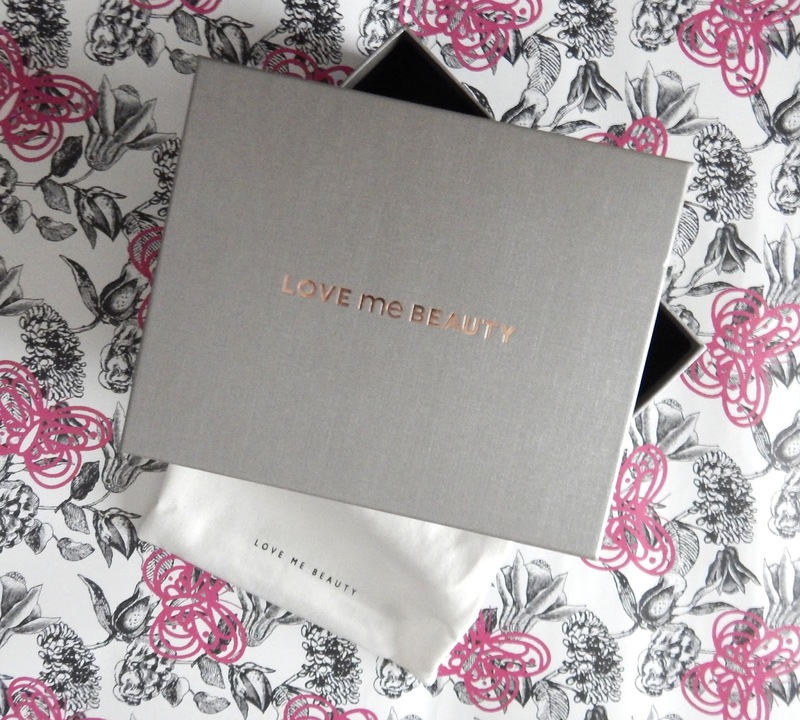 A few days before Christmas, Love Me Beauty posted a discount code on one of their social media platforms to get your first box for just £1.00!! Of course I took full advantage of this offer and ordered my first box. Postage was £3.95 so the total of my order was £4.95, which I thought was an excellent deal especially because I could choose my own items. 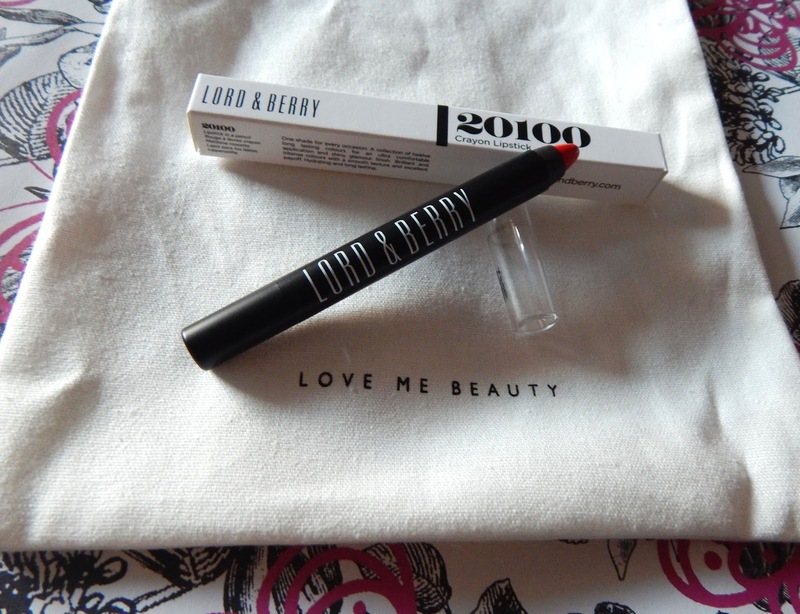 I used my 60 credits in the boutique to buy makeup items, the Lord and Berry products caught my eye, I've only ever used one Lord and Berry product before which was the Silhouette Neutral lip liner, that I received in my second Birchbox in November, you can read that post here. 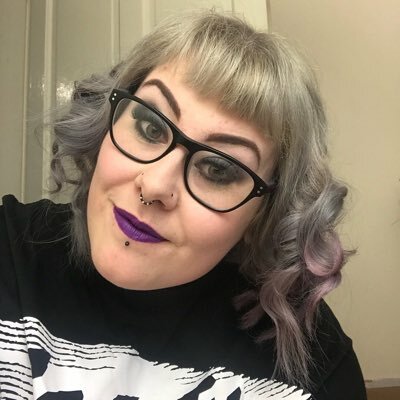 I was very impressed with the lip liner so decided to use all my credits on Lord and Berry products, I was able to buy 3 items including the 20100 Crayon Lipstick in shade Kiss, Liquid eyeliner pen in shade Forever Black and the Magic brow in shade Brunette. 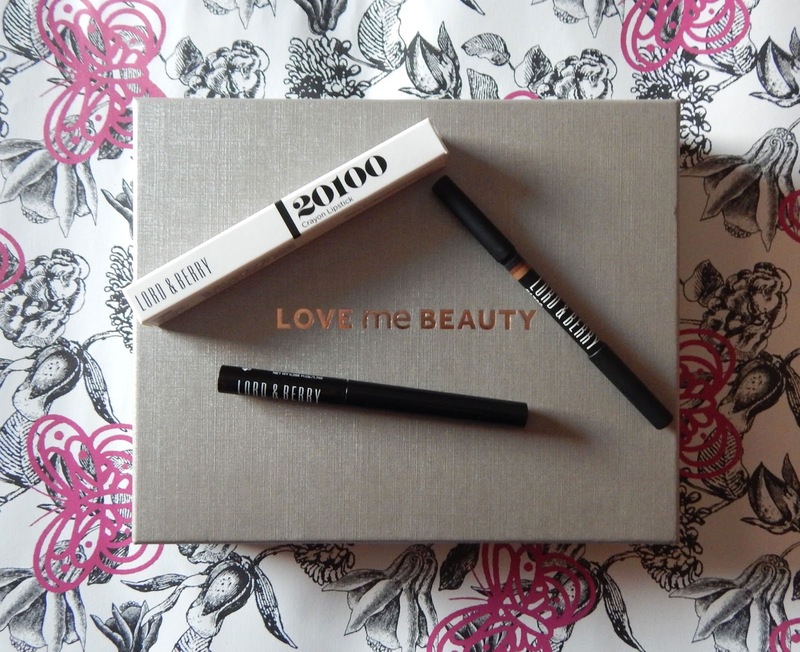 These 3 products are items that I can use on a daily basis in my usual makeup routine, I use black eyeliner everyday and currently use a liquid felt pen style product. My brows are filled in daily now to gain a nicer shape and fullness and lipstick is becoming a more regular product of mine. 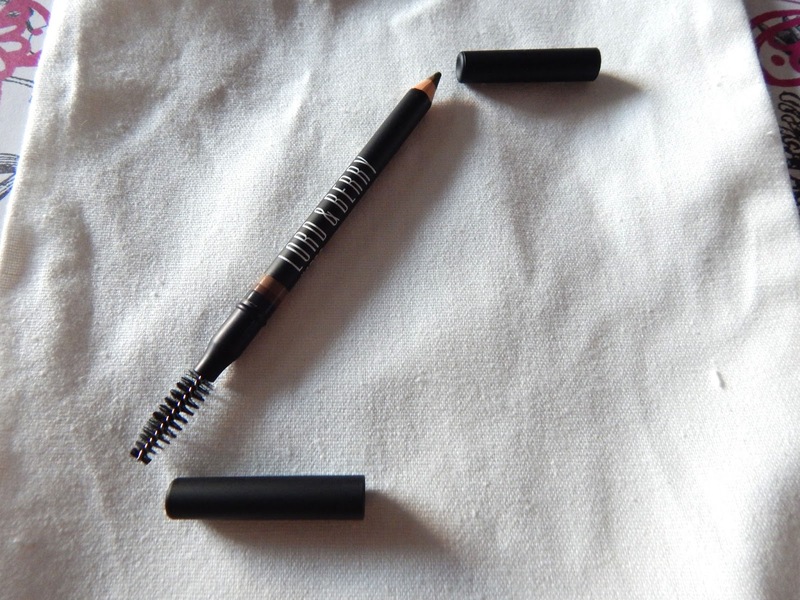 This Magic Brow is a pencil product with an eyebrow wand/styler on the other end which helps blend out the product once applied to the brows. The pencil is a marble shade with 3 colours included in the product, this helps the makeup set into the brows more evenly and give a natural look. I would definitely re-buy this product in the future. Liquid eyeliner as I've already said is a product I use daily, what I look for in a liner is mainly that the product holds its colour and lasts all day. 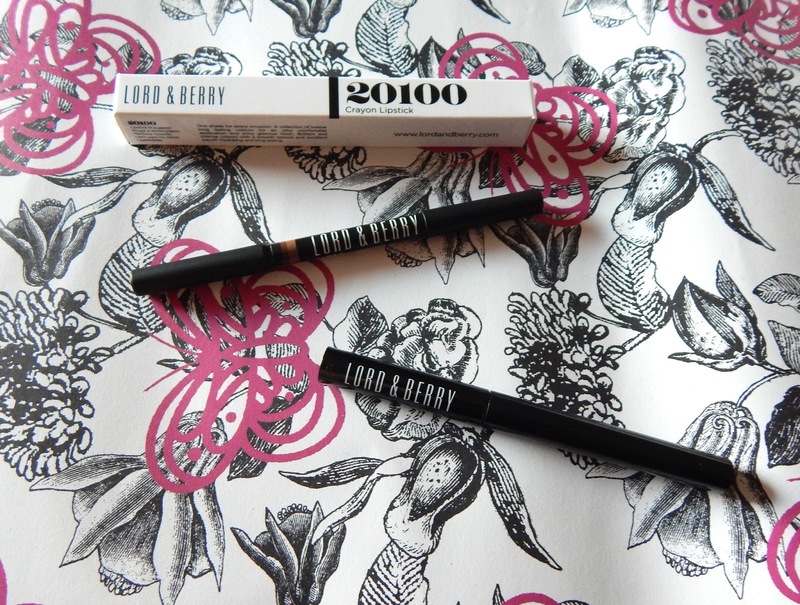 This liquid liner is the blackest of black when applying and stays black throughout the day. The applicator is thin and 'felt tip pen like' in texture with a pointed end, the shape of the applicator makes doing winged eyeliner effortless, there is enough product to swoop across the eye in once motion too. Another product that I would repurchase in the future. This lipstick is exactly what it says it is, a crayon style shiny lip shade in a lovely red colour. With being a crayon its so easy to apply, its just like drawing/filling in colour on the lips. I think this lip shade is great for everyday wear but can be used for a dressed up look too. Although this is from the shiny collection I didn't find it too shiny like a gloss would be, I'm interest in trying out the matte shades as well as I prefer matte lipsticks. I have swatched all 3 of the products on my hand so you can see the shades a little better. 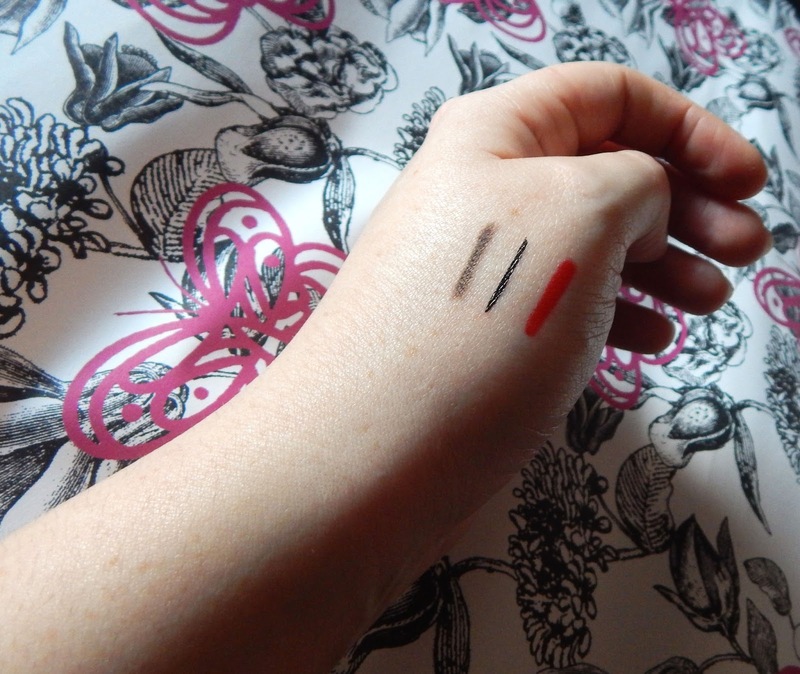 From left to right, Magic Brow - Forever Black Liner - Crayon Lipstick. 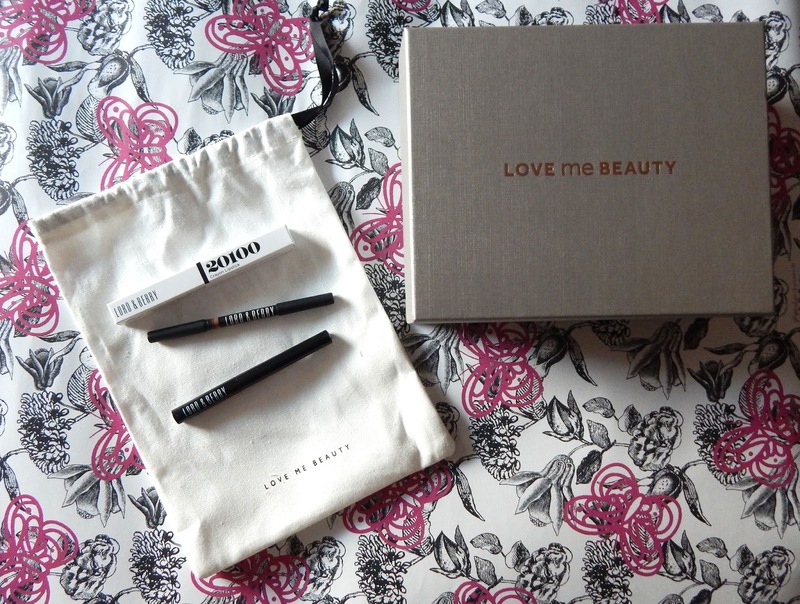 My 3 makeup items was packaged really well in a LMB canvas bag inside a sturdy sleek LMB box which I can reuse as makeup storage. My box was delivered by Royal Mail in a timely manner and was inside a bubblewrap envelope to secure the box and items. Overall I'm happy with my first Love Me Beauty box and the items I chose, I've received £30.00 worth of makeup for £1.00 plus postage which no one could complain about. The full price for every other month is £10.00 plus postage at £3.95 so its still a bargain. Have you tried the LMB sub box, what do you think? Let me know in the comment or via Twitter. Looks like you got a great deal on this box, especially considering the contents were worth £30! I havent heard of this beauty box before but I'll have to check this out, hopefully that deal will come back on soon! All of these products sound great, that lip colour is such a pretty red!